Is legal services outsourcing a serious threat to your business? Legal services outsourcing (LSO) is becoming a heated topic in overseas jurisdictions. The Economist was writing about it as early as 2010, and now a book published in the UK suggests traditional firms who fail to recognise and harness the potential in LSO providers will suffer in the long run. The book, The rise of legal services outsourcing, by Dr Mary Lacity and Dr Leslie Willcocks of the outsourcing unit in the London School of Economics and Andrew Burgess, a director of outsourcing advisory firm Source, claims both in-house legal teams and private practice firms cannot ignore the fundamental changes to the legal profession caused by globalisation, disruptive technologies and deregulation. Australian firm Beaton Capital partner, David Goener, agrees, writing in an article last week that LSO is growing as a result of larger market forces demanding “leaner” organisations. “Enterprise[sic] legal functions are seeking ways to reduce costs by erecting captives in low-cost areas, by pressuring major law firms to reduce fees and to be more efficient by off-shoring, and by engaging LSO providers directly,” writes Goener. 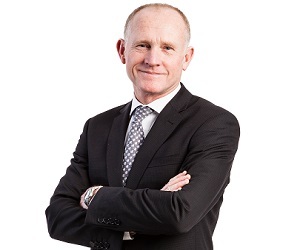 However, Auckland-based DLA Phillips Fox partner, Martin Wiseman, believes New Zealand firms and in-house lawyers are largely immune to LSO providers – for now – due to a lack of less expensive, English-speaking overseas markets. “Where would we outsource to?...I suppose, overall, I don’t think it’s a big issue for New Zealand firms at the moment, but it’s certainly something that overseas firms would be looking at – outsourcing to lower-cost jurisdictions,” Wiseman tells NZ Lawyer. However, Wiseman notes that the rise of fixed-price and web-based legal service providers could have implications for local firms. He cites online legal document provider, legaldocuments.co.nz, as an example of a situation where technology-savvy clients might opt to use online legal portals, particularly when it comes to routine templates, rather than lawyers in a bid to save money. Finally, Wiseman notes New Zealand could actually be sitting at the other end of the outsourcing relationship. by Rob Knowsley 12/03/2014 10:16:48 a.m. Interested in Martin Wiseman's reported comment that NZ is largely immune. It's not much different to Australia, and Australia is certainly affected, both in terms of the competition and the benefits offered. There may appear for example to be less pressure in terms of many areas of wages being lower in NZ, and the gap therefore between internal wages costs and out-sourcing costs being smaller, but in my experience fees are often considerably lower in NZ. The benefits of out-sourcing are potentially huge, and they range well beyond direct costs savings per hour or per item. As one small example, if a firm presently juggles availability of support staff in normal times, at seasonal peak load times, and at times of staff illness or critical urgency, unacceptable pressures can fall on those available, and turnaround and quality can be impacted. However if a good slice of the normal work has been going to a reliable provider it is extraordinarily easy for them to absorb sudden additional load.Their people resources are immense and they can speak and write good English. Work is usually turned around faster and with quality at least equal to your own staff...and considerably cheaper. Importantly you don't do the juggling of schedules. If a contractor offshore has one of its people with a sick pet dog and can't do overtime (or normal time), it's not your problem and certainly will not affect your turnaround speed. Watch these spaces...it is not at all uncommon in Australia for Corporates requesting tenders for work to include a raft of "must answer" questions about how tendering firms use LPO. Too often I hear NZ firms complaining about competition and "silly" pricing by competitors. There's always a firm that is desperate enough to do a job for less than you, but at present it usually means they have even less profit margin than normal. With considered use of the wide range of LPO solutions you have options to significantly reduce your costs, and not all of that must be passed on to your clients. In a real Win-Win you can improve value for money to them and still retain some of the improved profit margin for the benefit of your own business, and all stakeholders in it.